This book was developed by Mr. Von Ludwiger under the auspices of the National Institute for Discovery Science. 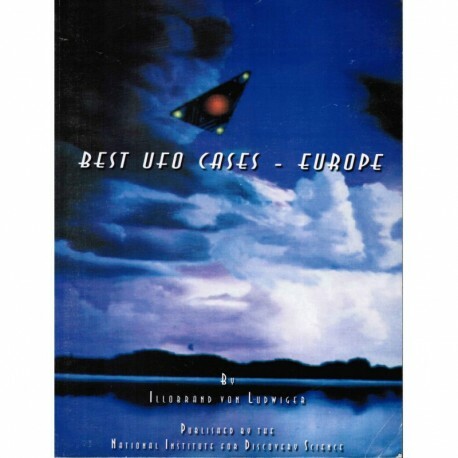 The intent was to present hard, credible material about anomalous aerial phenomena observed and reported in Central Europe, but using cases that are, with few exceptions, not well known in the United States. This book was developed by Mr. Von Ludwiger under the auspices of the National Institute for Discovery Science. The intent was to present hard, credible material about anomalous aerial phenomena observed and reported in Central Europe, but using cases that are, with few exceptions, not well known in the United States. The author was given great latitude in the development of this book, including responsibility for translation from German to English. ...We believe this book will be a useful tool for investigators of aerial phenomena around the world. It certainly provides credence to the fact that UFOs are not localized to the United States. The radar cases clearly indicate that UFOs are indeed captured on sensor systems that do not rely on visual acumen or human psychology. As the reader will learn, the European researchers, all technically qualified scientists, have gone to extensive lengths to prove that simple, known possibilities for causing these traces have been examined and rejected for cogent reasons. All the cases were selected by the author and his staff. While NIDS was provided with supporting material, we cannot vouch for the authenticity of any given case. However we do believe this work taken in its entirety represents a reasonably accurate picture of aerial phenomena in Central Europe. We further believe this is a global phenomenon—one worthy of serious scientific investigation. Format: Softbound Large, 173 pgs. Notes Used: Very good; with minor corner dings; text untouched, near fine; minor shelfwear. Color photos.